An interesting one, this. It starts with the death of a policeman, then jumps back in time four days, leaving us with the grim knowledge of things to come. It’s a cracking opening scene. Indeed for me the strongest parts of the story were the start and end, with the middle just starting to meander a little before the plot takes hold again and delivered a pretty satisfying conclusion. The story does like to play around in its chronology too – you need to be paying close attention not only to who said or did what to who but also when! There’s a nice subplot weaving through the book about Donna, a young girl who’s come from the care system and her friend Malc. A pair of intriguing characters, with plenty of depth and, of course, a few secrets. At times I found myself more interested in what they were up to than the central investigation into the body. I liked Russell and Pearson as a duo. Both interesting in their own ways, and I was pleased to see that this is the first in a series featuring them. Keen to see what Mark Hardie does next. If there was any criticism to be had, it could have done with more of a sense of place – the story could have been set in any seaside town in the south of England. Regular readers of this blog will know that I do love a story which makes you *feel* the place the story inhabits, and for me, there wasn’t enough of that here. It’s a minor niggle though. 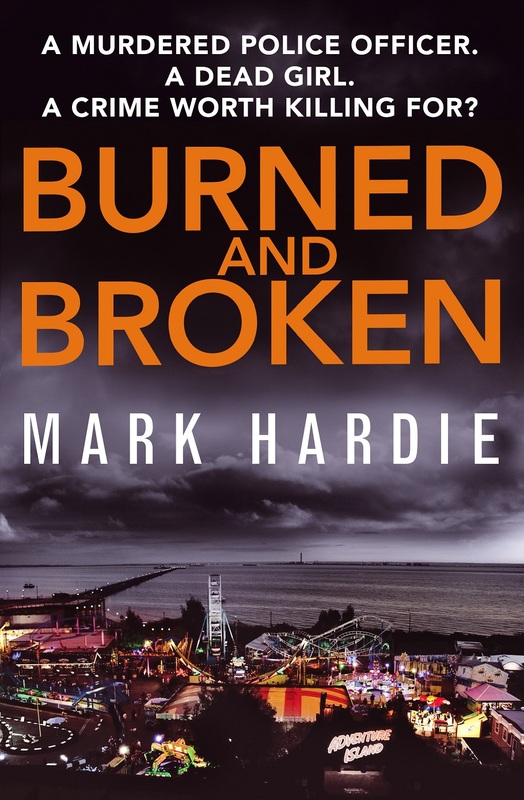 That said, Burned & Broken is a solid police procedural and an entertaining read. Worth checking out if that’s your sort of thing. You can find Mark on twitter @MarkHardieCrime. Burned and Broken is published by Little, Brown @LittleBrownUK and is out now in ebook, paperback on 4th May 2017. 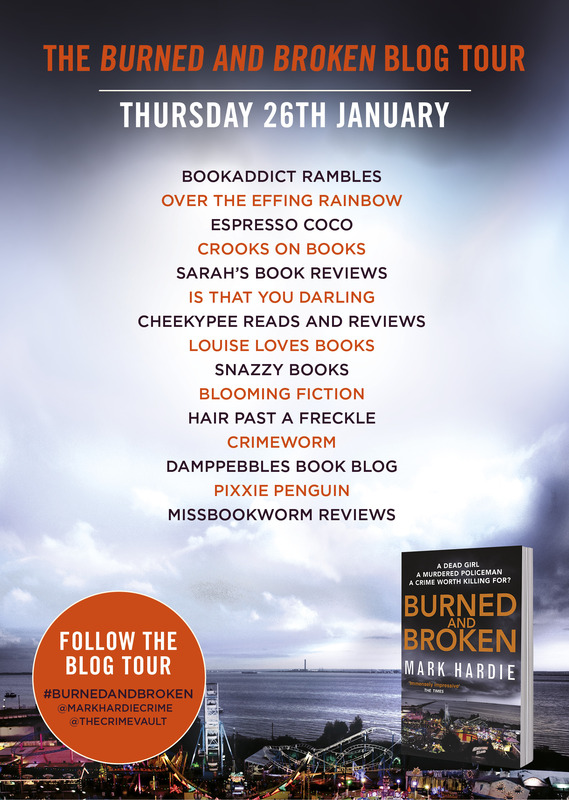 Plenty more on the blog tour today – go check some of my fellow bloggers out!